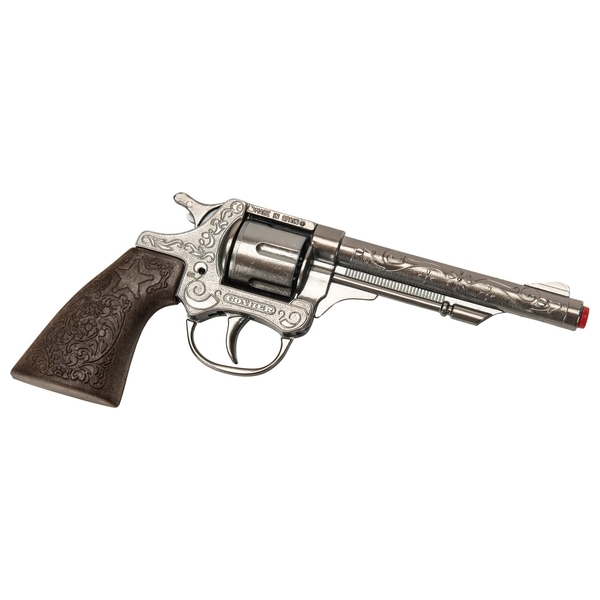 Get ready for some action in the Wild West with this Gonher Wild West Cowboy Single Toy Gun Set. This cowboy gun is made from die cast metal and styled like the ones the cowboys used during their shoot out’s. When it’s all over store your gun in your holster to keep it safe until the next big shoot out. EU Warning: Not suitable for children under the age of 3 years due to small parts which could cause a choking hazard. To be used under direct supervision of an adult. Do not use close to the ear. Misuse may cause damage to hearing. Do not fire indoors.